When we started Sharkadina, we never imagined that we'd be watching Roger Bernadina in a playoff game while Twitter blew up with Shark references. 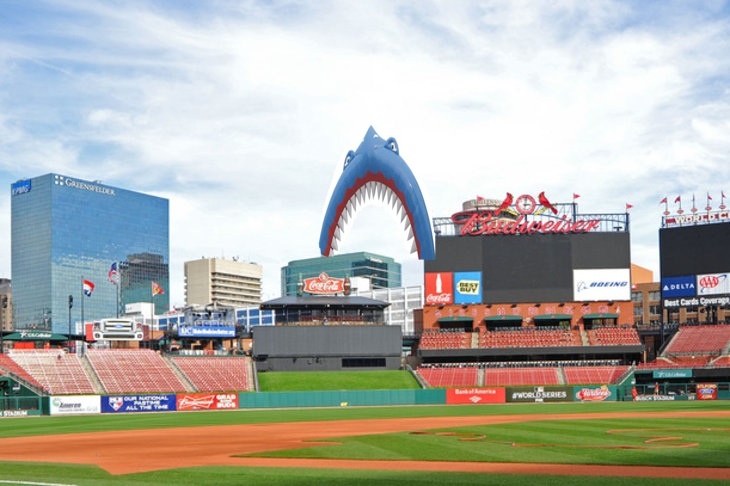 It is truly jawesome and we can't wait to be at Nats Park on Wednesday watching a standing room only crowd CHOMP while Bernadina helps to bring down the Cardinals and move the Nats to the NLCS! BONUS VIDEO: We normally only show Shark highlights on this blog, but we just had to bring you this shark-like catch by The Great Werth.